Mohan Murjani, chairman of Murjani International, saw something special in Tommy Hilfiger the moment he walked in the door. The Indian entrepreneur, credited with launching Hilfiger into the fashion consciousness, was Hilfiger’s original financial backer. In 1984, when Murjani was running the Gloria Vanderbilt women’s business, he wanted to get into the men’s segment. NEW YORK — For a designer, nothing says you’ve made it quite like a flagship on Fifth Avenue and after nearly 25 years in business, Tommy Hilfiger’s 22,000-square-foot store at 681 Fifth Avenue opening today clearly conveys the message he’s arrived. GQ Magazine – Sachin Tendulkar sports the Tommy Hilfiger Look of the season. Another feather in the cap for the #1 Designer Brand in India. 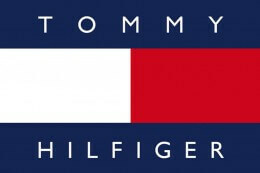 Tommy Hilfiger began his career in high school when he sold 20 pairs of bell-bottom jeans for $150. Today he is the owner of an international lifestyle brand that offers a wide range of women’s wear, men’s wear, accessories and linens to the rich and the famous. Verve gets up close and personal with the multi-millionaire designer and entrepreneur. I started my business when I was 18 years old. I had my own shops, but I had always wanted to manufacture my own jeans. I met this Indian guy who had a very small factory in Mumbai, and he invited me to manufacture with him. I came here in 1978, designed my first collection and flew back to New York. From apparel to watches, fragrances and bed linen, there’s little that Timmy Hilfiger hasn’t designed. ELLE caught up with the stars-and-stripes designer to talk movie-making, a possible collaboration with Giorgio Armani, and the controversial comment he never made! I came back to New York feeling greatly inspired from my recent travels to India, especially Mumbai where the buzz and energy are similar to that of New York. I was reminded of the Indian sense of individualism in the bold style of dress, the rich aromas, flavours of the cuisines and the local art. After a lot of phone calls to and fro, we finally meet on a sunny New York morning at Hudson Studios, a workplace Tommy Hilfiger has hired to sketch out last-minute details of his Autumn Winter 2007-08 collection. The first thing you notice about Tommy is that he can get lost in a crowd. From a retail career that started in high school in 1969, in a small town in New York, to being one of the most recognized global lifestyle brands, Tommy Hilfiger, 55, has come a long way. Hilfiger launched his first signature menswear collection in 1985, with his updated take on button-down shirts. In less than two years, the line had netted $11 million. Two decades later, it has grown to encompass menswear, womenswear, children’s wear, accessories, footwear, fragrance etc, making him the best know American designer in the international arena. He made a low-key appearance at a wedding in India last week but Tommy Hilfiger’s penchant for business had him scouring his Mumbai market as well. John Abraham may not know it yet but he may soon hit the jackpot what with Tommy Hilfiger commenting. “I think John Abraham is pretty cool,” in response to a question about which Indian celebrity he might consider as a brand ambassador. The American fashion designer is in Mumbai to celebrate the third anniversary of his flagship store. American fashion designer Tommy Hilfiger, who has eight stores in India and is opening nine more as well as five shop-in-shops in leading department stores by the year end, was in Mumbai to celebrate the third anniversary of his flagship outlet at Colaba.